The voting is over, and the knife nuts have spoken: The CRKT Caligo will be the official knife of BLADE Show 2018. That means you’ll be able to pick up a special edition of this hot knife at ShopBlade.com soon. Each Caligo will be serialized and sport the BLADE Show logo. 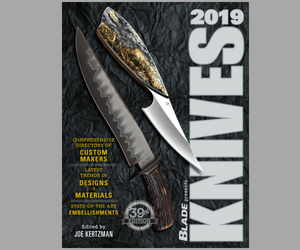 The annual BLADE Show knives always go quick, so be sure to watch for announcements here and on BLADE‘s social media (Twitter and Facebook are the best). As always, you can find all the BLADE Show information you need here. See you in Atlanta in June!